On November 26, 2018, about 1950 mountain standard time, a Mooney M20C airplane, N113TA, impacted terrain about 1/3-mile south of the Santa Fe Municipal Airport (SAF), Santa Fe, New Mexico. The pilot was fatally injured. The airplane was destroyed by impact forces and a post-impact fire. The airplane was registered to Nelson Flying Service and operated by the pilot as a Title 14 Code of Federal Regulations Part 91 positioning flight. Night visual meteorological conditions prevailed. The flight was not operated on flight plan. The flight originated from the Phoenix Goodyear Airport (GYR), Goodyear, Arizona about 1500 and was destined for the Colorado Plains Airport (AKO), Akron, Colorado. A friend reported that the pilot had recently purchased the airplane and was planning to relocate it to AKO in order to have an annual inspection completed. Employees of the Lux Air Jet Center at GYR reported that the pilot had completed some maintenance on the airplane during the preceding few weeks. However, they had not provided any maintenance services to the pilot and, to their knowledge, there had been no other third-party maintenance work done on the airplane. The airplane was fueled about one month before the accident flight at the request of the pilot. A witness stated that he observed the airplane twice shortly before the accident. Initially, he heard the airplane but did not see it. He was only able to locate it from the ambient lighting surrounding the airport because there were "no lights whatsoever on the airplane." The airplane appeared to be on an "abbreviated" left downwind for runway 20 at SAF. In both instances, the airplane turned and crossed over the approach end of the runway before he lost sight of it. His perception was that the pilot was not trying to land at that time, rather he may have been trying to attract the attention of the tower controller. The airplane appeared to be in a "clean" configuration, with the landing gear and wing flaps retracted. The engine sounded as if it was at a "medium" power setting and he did not suspect any issues with the engine. Shortly after losing sight of the airplane the second time, he heard sirens related to the emergency response to the accident. The airplane impacted a shallow ravine south of the airport. The fuselage and empennage were consumed by a post-impact fire. The wings were located in position relative to the fuselage and exhibited leading-edge crushing damage along the entire span of both wings. The inboard portions of the wings were damaged by the post-impact fire. The engine and propeller were located with the wreckage. At 1953, the recorded weather conditions at SAF included a clear sky and wind from 360 degrees at 4 knots. Sunset occurred at 1652 on the day of the accident, with civil twilight ending at 1719. The moon set at 1015 and did not rise again until 2034. Operator: Nelson Flying Service Inc. 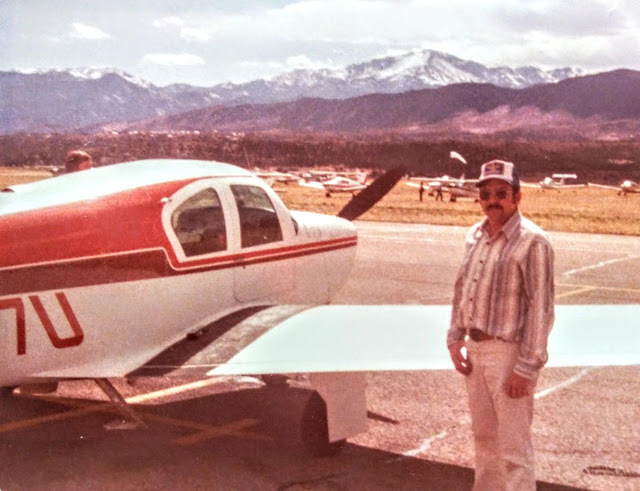 In 1985, Larry Nelson stands next to the Mooney he owned, which was similar to the plane he lost his life in, his daughter Catherine Nelson wrote in an email. 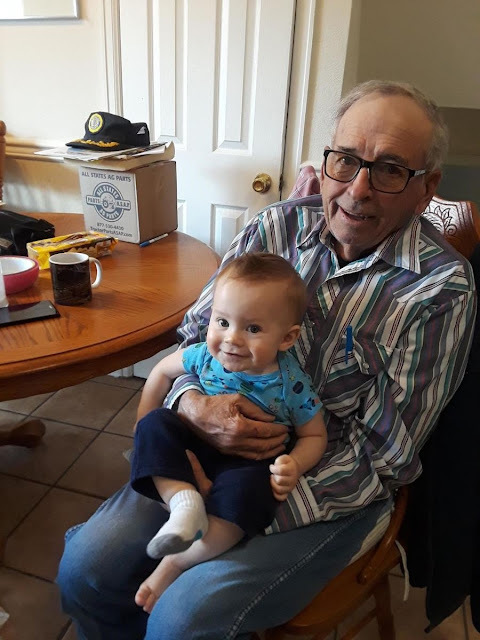 Larry Nelson holding his grandson, Wen, in October 2017. The man who died in a fiery plane crash near Santa Fe Regional Airport on Monday night was an experienced pilot, an accountant and a grandfather, his daughter said Tuesday. Larry Nelson, 73, of Wheat Ridge, Colorado, had been flying recreationally for around 40 years, his daughter, KC Nelson, said. On Monday, Nelson was making a trip from Arizona to Akron, Colorado, his daughter said, when she thinks he made an emergency diversion to the Santa Fe airport. The National Transportation Safety Board is investigating the crash. Santa Fe police Lt. Matthew Champlin told The New Mexican on Monday that it appeared Nelson crashed just short of the runway. Area residents reported seeing flames, and a fire crew learned of the crash around 7:50 p.m.
Nelson’s plane, a single-engine Mooney M20C, was destroyed, according to a Federal Aviation Administration preliminary report. Nelson was the only person on board. The pilot’s family suspects there might have been an issue with the plane, which Nelson had just recently purchased, or perhaps Nelson had a health issue. KC Nelson said her father recently had been having issues with his kidneys and had undergone dialysis. Still, KC Nelson said, her father had made countless interstate flights and made his fair share of emergency landings. KC Nelson described her father as a jack-of-all-trades of sorts, who worked as an accountant, computer programmer and contractor, and was a certified flight instructor. He was the kind of father who took his daughters up in his airplane on the Fourth of July so they could see the fireworks from the sky, KC Nelson said — the kind of man who wanted to fly behind KC as she made her own cross-country flight to make sure she got where she was going safely. Nelson leaves behind two daughters and a 23-month-old grandson. 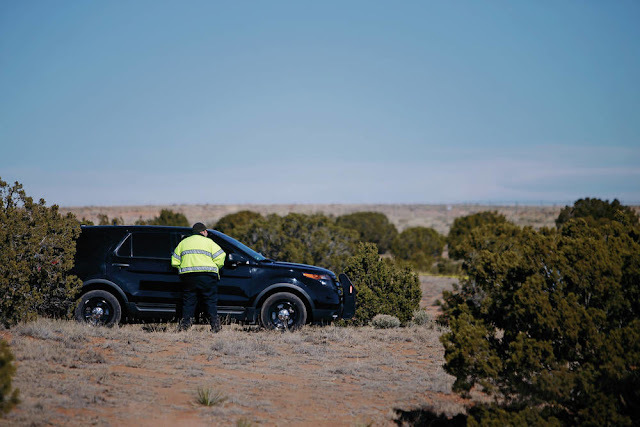 A Santa Fe police officer keeps watch over the scene of a plane crash near Santa Fe Municipal Airport. SANTA FE, N.M. - The pilot who died when his plane crashed in Santa Fe Monday night has been identified as 73-year-old Larry Nelson of Wheat Ridge, Colorado. 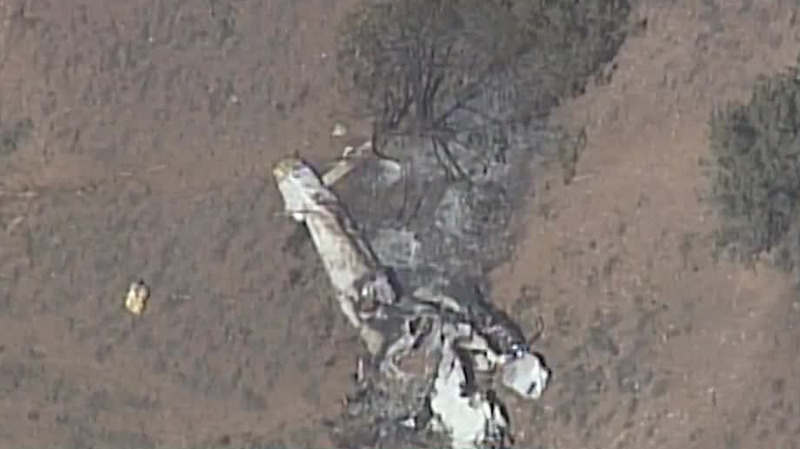 Federal investigators are still looking into what caused the plane to crash. The Mooney M20C aircraft went down near the Santa Fe Municipal Airport as it attempted to land just before 8 p.m.
Officials said the Nelson was the only occupant of the plane and was not in contact with air traffic controllers prior to the crash. Gabriel Jaramillo, who lives near the crash site, said his fiancee called 911 after they witnessed the plane go down. "I ran down there see if there's anything I can do, started yelling out to see if anybody was alright. I didn't get any answers," Jaramillo said. "There were still explosions going on while I was down there." Officials with the Federal Aviation Administration said Nelson did not file a flight plan with the control tower. 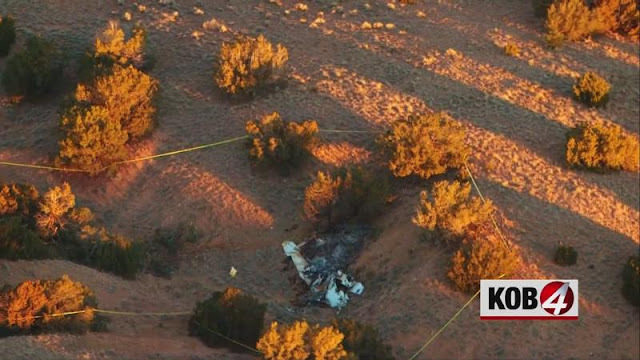 According to the Federal Aviation Administration, the plane was registered to Nelson Flying Service Incorporate, which is based in Aurora, Colorado.